Sales were up and house prices were stable in June, according to the latest figures from the General Council of Notaries. 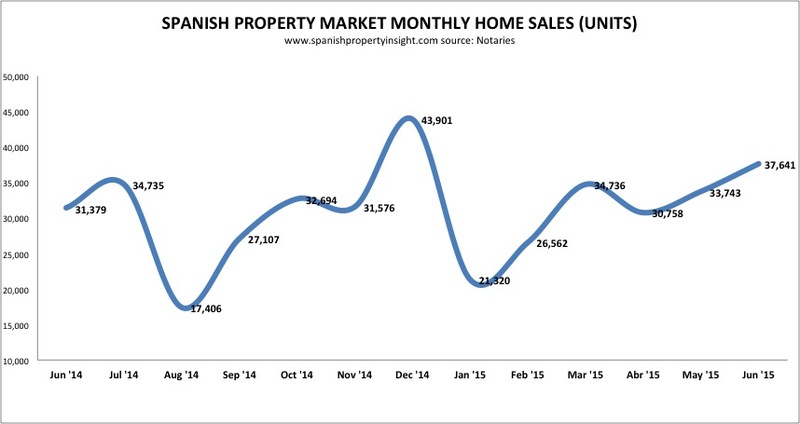 There were 37,641 homes sales witnessed by notaries in June, up 19% on the same month last year. Home sales have risen on an annualised basis in 8 out of the last 12 months. 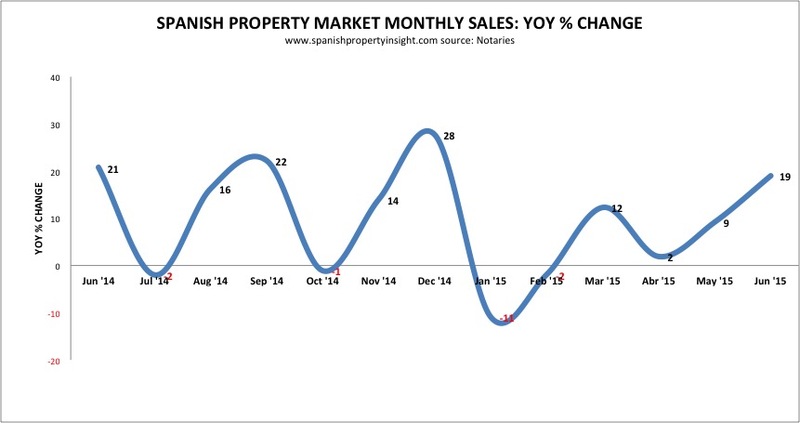 The figures clearly show a recovery in property sales, albeit from a relatively low base for a country the size of Spain. New flat sales were slightly up (+2%) in June, having been dramatically negative for most of the year. 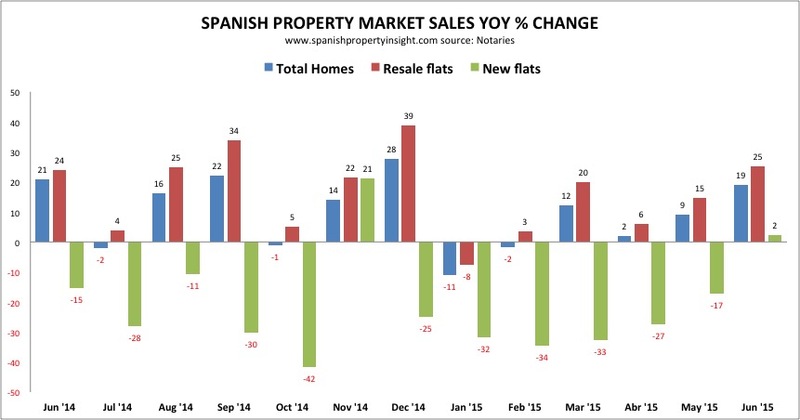 A lack of attractive new flats for sale is a drag on the Spanish property market, and it could be months yet before we see a sustained recovery in new home sales. Average Spanish house prices (based on sales, not valuations) fell by 0.3% in June compared to the same month last year, according to the notaries. Their figures hint of stabilising house prices, though it is still too early to tell. However, it is clear there is little agreement between the house price figures published by the notaries, and those published by the registrars (in theory, based on data supplied by the notaries). The latest house price index from the registrars says Spanish house price rose by 5% over 12 months to the end of June, compared to a fall of 0.3% recorded by the notaries. The difference in house price figures between the notaries, registrars, National Institute of Statistics, Government, and other organisations just reduces transparency and investor confidence in Spain. New mortgage lending was up 32% to 16,000 new loans in June, and 44% of homes sales involved an element of mortgage financing. Rapidly rising mortgage lending is one of the main drivers behind growing home sales (along with rising foreign demand), and a sense that house prices might now be stabilising after years of declines, at least according to the figures published by the notaries.